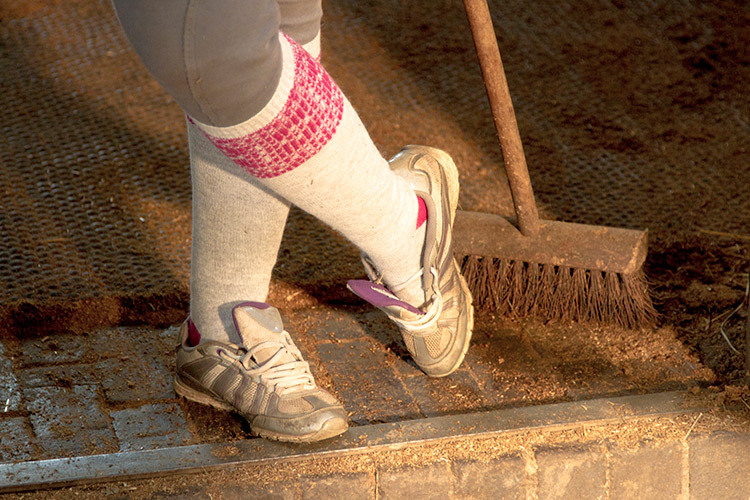 Mucking out, or cleaning your horse’s stall on a regular basis is important for their health and well being. When mucking out, you should wear the proper attire. Gloves: It’s not an essential item, but it helps to make the job a little more comfortable – there will be a lot of sweeping up when you are mucking out so gloves will help prevent any blisters. Boots: It is best not to wear your riding boots while cleaning your horse’s stall. The urine in the stall can erode the stitching the soles of the leather of the boots damaging before their time. You should wear either work boots or rubber boots.